Alongside Taurus, you can experience a genuine friendship. Taurus is a person that you want to impress, so you might be more extravagant than usual - spend money and time. But you must know when to get on to business, because this relationship is only for fun, not a serious commitment and you will be sorry for spending so much time and money. Taurus has lessons to teach you if you allot them enough attention, otherwise you will lose. 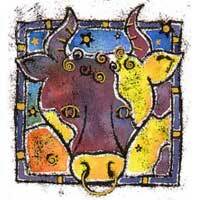 Taurus affects that part of the zodiac related to pleasure, aspirations and friendship. Perhaps there is also a strong physical attraction. 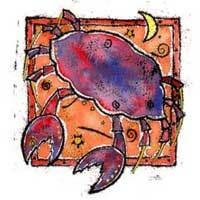 Moon (the symbol of Cancer) and Venus could make the romance even stronger between you two. This relationship is based on mutual respect. It is clear that many of your dreams and aspirations could be fulfilled with Taurus.